How to activate "the Hidden room"
How to find out who was calling from a hidden number in the "Beeline"
If you want to make calls to other network subscribers of "Beeline" anonymously, connect the service "CLIR". But keep in mind that if the person you are calling is connected to our "detailed information", it your room will see. And even if not connected, it can read your phone book records. In addition, you will not be able to hide your number when sending SMS and MMS. Call from your mobile phone "Beeline" in the room 0604171. Activate, if necessary, on-screen keyboard. Listen to information about the service "caller ID", connection conditions and cost in your area. If you didn't activate the service, do so by following the voice prompts. Request a subscription to "caller ID", making from your phone "Beeline" call on the 067409171. Wait until the SMS that the service is activated. Call to number 0611. Using the keypad on your phone, go to the alphabetical list of services of company "Beeline". Select service "caller ID" and connect it yourself. Either select the connection with the operator of the customer service Center and ask them to connect you to this service. Be prepared to call specified in the contract passport data. Send from your phone USSD-command *110*171#. Wait for a response SMS for activating the service. Send USSD command *111#. On the screen of your phone appear service menu. To navigate through its topics, send back a number that corresponds to the desired item. Make the transition: "My Beeline" - "Services" - "caller ID" - "Connect". Wait for an SMS that the service is activated. 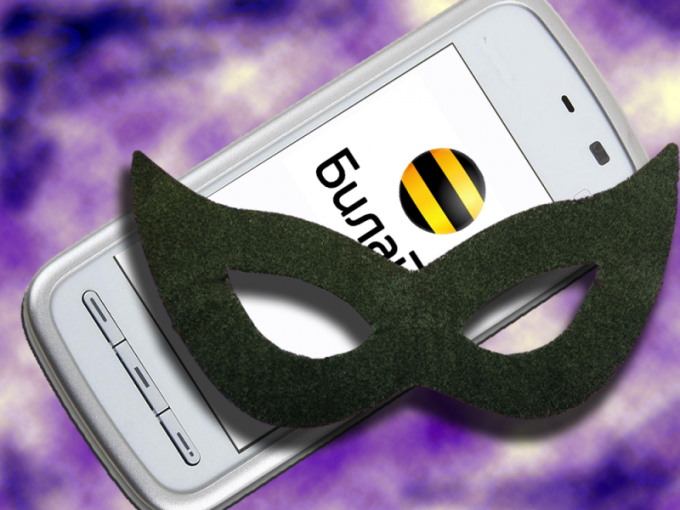 Activate the service using the SIM-menu of "Beeline" on your phone. To do this, locate the SIM menu and make a transition: "My Beeline" "telecommunications Services" - "caller ID" - "Connect". Wait to receive an SMS for activating the service. Connect the service "CLIR" using the Internet control center service "My Beeline" https://uslugi.beeline.ru/. Temporary password to log into the system you can order it through the SIM menu service *111# and dialing *110*9#. Enter the received password in the appropriate field on the login page. Then set a permanent password in accordance with the requirements of the system. 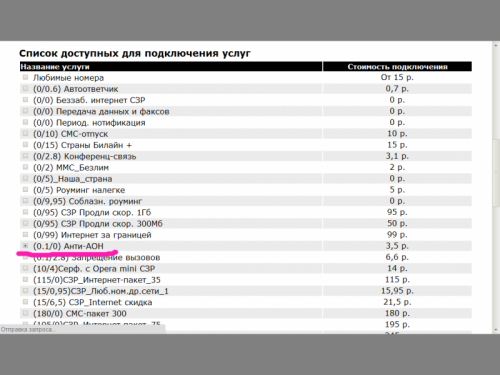 Go to the main page of the personal Cabinet in section "services Management". Visit our full list of services available for connection. Locate the "caller ID" and put in this line a check (marker). Click on the "Connect". Read the terms of service connection. If you change your mind, click on the "Yes"button. When you connect the services with your balance will be charged the monthly fee for the service "caller ID" for the current day.